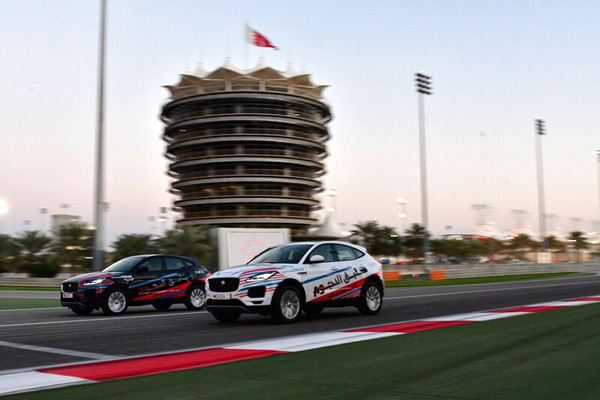 Euro Motors, the exclusive importer and distributor for luxury automotive manufacturer Jaguar Land Rover in Bahrain, has collaborated with Bahrain International Circuit (BIC) for the 2018 Grand Prix, to be held in April. For the fourth consecutive year, Euro Motors Jaguar Land Rover has partnered with BIC to provide 5 luxurious vehicles which include two Jaguar E-PACE and three Range Rovers. The five F1 branded vehicles will be used in BIC promotional tours that will see them being driven around a number of locations in the kingdom to effectively build up hype leading up to the fastest race in the world. “This is the latest in a long line of strategic partnerships that Euro Motors Jaguar Land Rover has undertaken with BIC, which in turn serves to strengthen our brands and position them as vehicles of choice. As the Grand Prix gets bigger, bolder and more colourful with each passing year, our involvement will also continue to enrich the experience the Jaguar Land Rover way. We hope that this successful venture spurs both parties to more such partnerships in the foreseeable future,” he added. Apart from the main race that will be held on April 8, the three-day event (April 6-8) will also comprise of two highly competitive racing series from across the globe including the FIA Formula 2 Championship, formerly known as the GP2 Series, and the Porsche GT3 Cup. Along with the races, guests will be treated to a number of exhilarating performances over the three days. This year’s off-track entertainment will be headlined by legendary, Grammy award-winning superstar, Carlos Santana, who will be performing for the very first time in the kingdom.